Vacation rental condominium. Sleeps 10, 4 bedrooms, 4 bathrooms. Dogs allowed. Peninsula lobby. Tower 3. 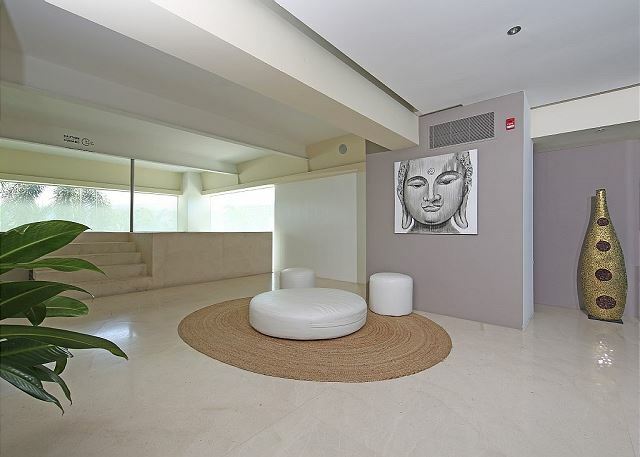 Our charming condo is 3,000 sq ft with 4 BD and 4 BR. 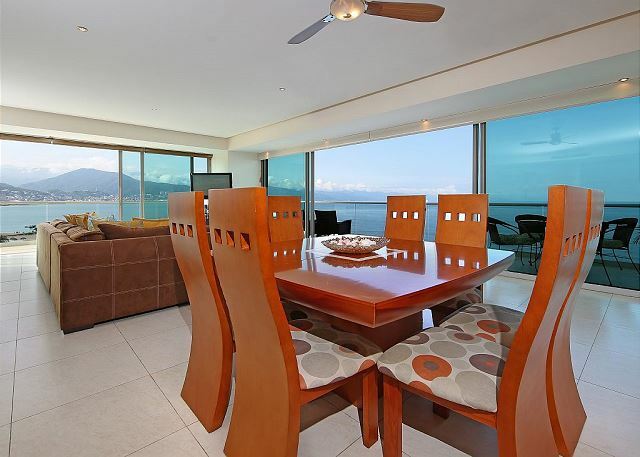 Main room includes living room, dining room, and kitchen and includes beautiful views of the ocean. 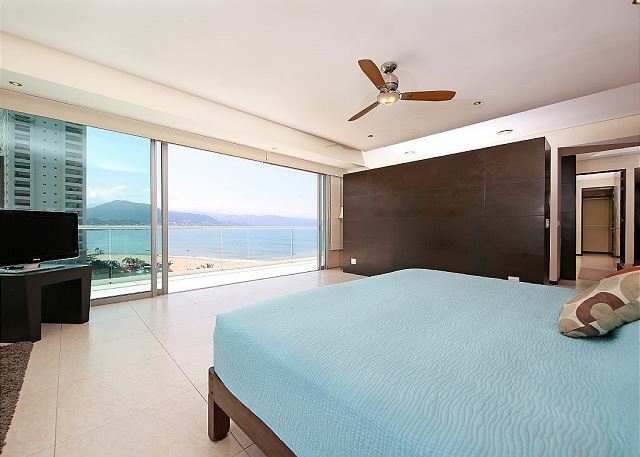 Open lay out with views of the ocean. King size bed, flat screen TV. Master suite bed. 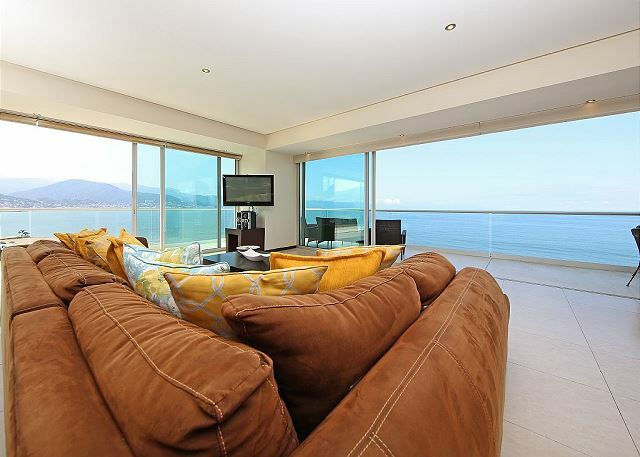 Watch the relaxing view and listen to the sound of the ocean! Dreamy spa-inspired bathroom with jacuzzi. 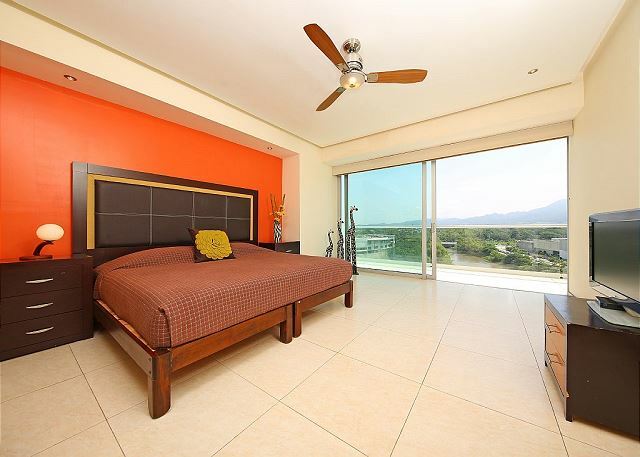 Master suite with king size bed, flat screen TV..
Master bedroom with city light and mountain view. Two queen size beds with ocean view. 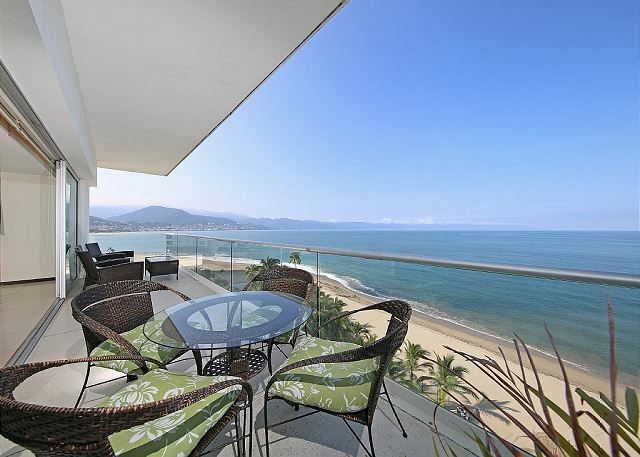 The PENINSULA is one of the most luxurious condominium in Puerto Vallarta, Mexico. 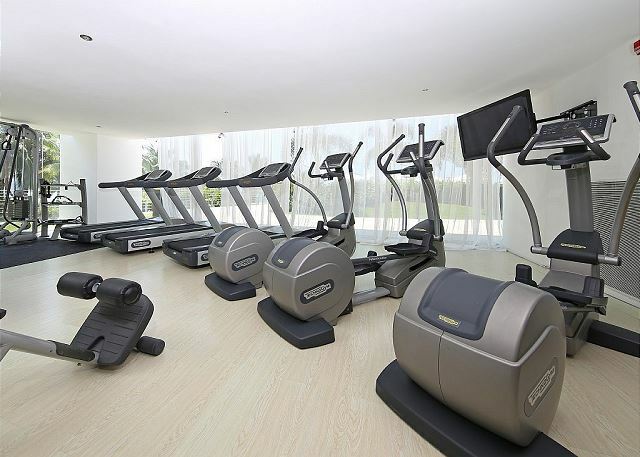 State of the art fitness center, business/computer center, private movie theater, party/card room. 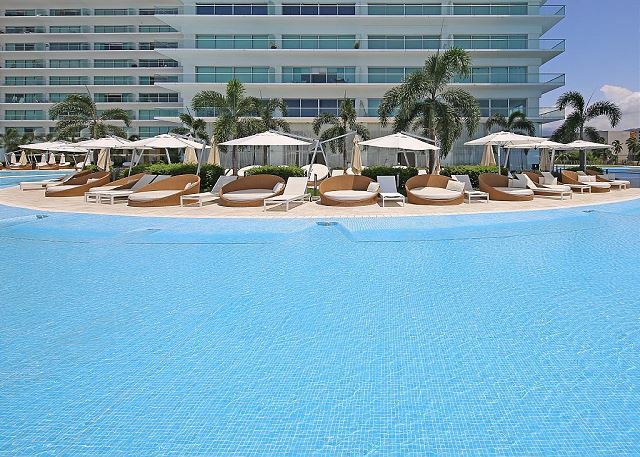 Beautiful lobby, spa, and largest infinity pool in Puerto Vallarta with the view of the beach and Banderas Bay. Peninsula is surrounded by reflection pools giving it the illusion of being on its own island. The property is monitored by security 24 hours a day. 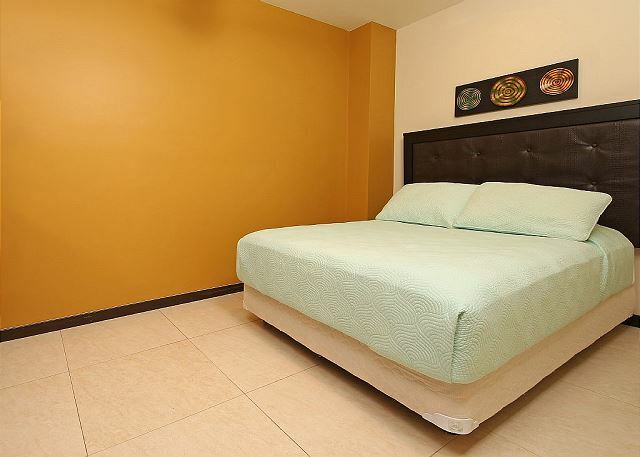 Centrally located, the Peninsula is on the hotel zone, a short walk to the Peninsula Shopping Center, restaurants and Soriana Supermarket. 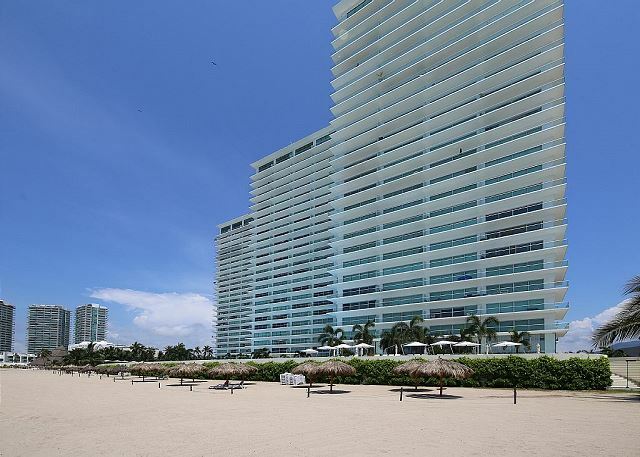 It takes 10 to 15 minutes of taxi to downtown/Old Town, golf, airport, marina, restaurants, bars, beaches and the Malecon (board walk). 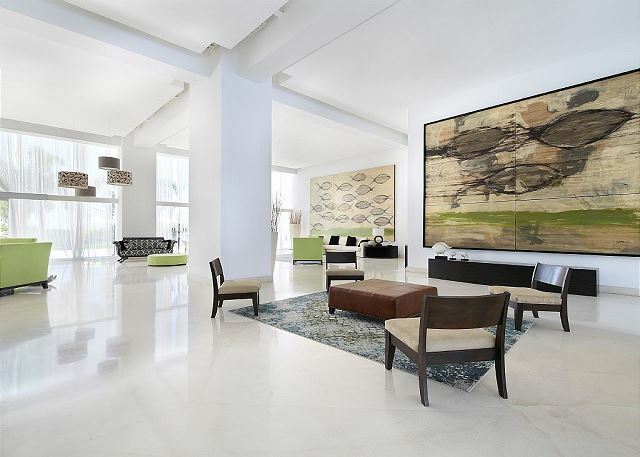 This beautiful condo is very spacious home of 3,300 sq. feet that is professional decorated with the contemporary style and some tropical accents. 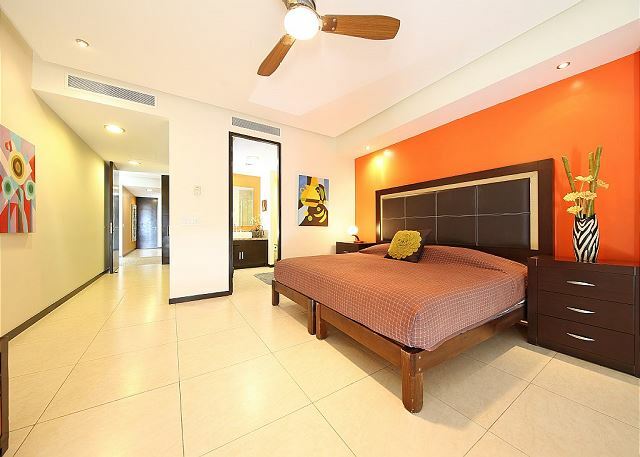 The home has four spacious bed rooms and four bathrooms, a jacuzzi, closets, and a safe box. The bedrooms are included 2 kings, 2 queens and 1 full bed with Serta pillow top mattresses and luxury linens that sleeps eight comfortably. 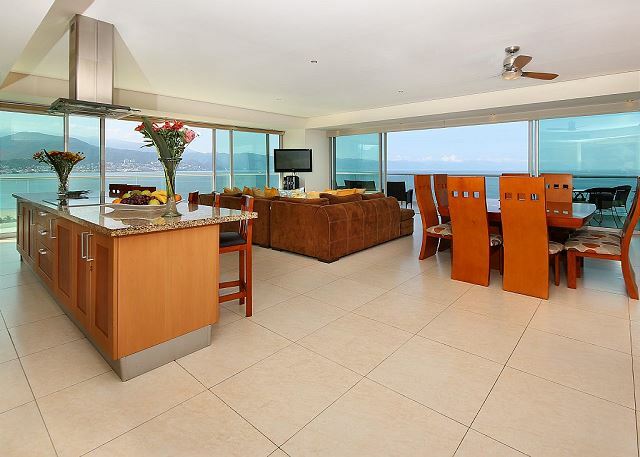 The unit has 4 large balconies wrap around the home with floor to ceiling doors with spectacular ocean, mountain, or city views from almost every rooms in the house. 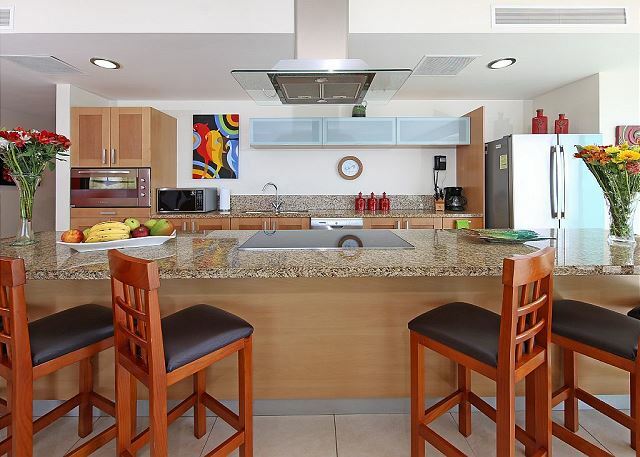 The contemporary kitchen is fully equipped with upscale appliances and amenities; dining area seats 8 comfortably. Ocean view and mountain view. City light and mountain view. Ocean view and river view. Bedroom 4: 1 double No view. King size beds (2) Master suite: one king bed with wrap around balconies and views of beach, river and Sierra mountain. 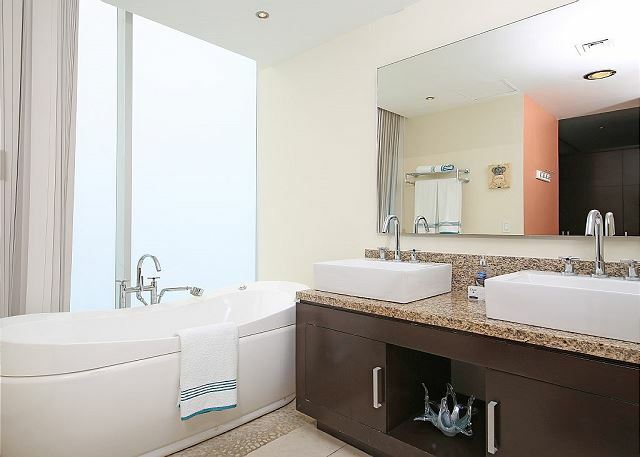 Private jacuzzi bathtub. Master guest suite: one king bed with balcony and view of Sierra mountain., Queen size Beds (2) Twin master suite: two queen beds with view of beach and river., Double Beds (1) One bedroom with one full bed., Baby Cribs (1) One convertible crib, one high chair, and one walker for young baby. Bathroom 4: shower - Spa inspired shower with travertine design walls and granite countertops. All standard items for a well-stocked kitchen. Beautiful bedspreads, luxury linens, extra pillows, throw pillows. Two parking spaces at the below ground parking. 2 zones with separate setting controls. Private washer within the unit. Private dryer within the unit. 24/7 security, Gated property, Infinity pool, Children wading pool, Fully equipped fitness center, Movie theater, Entertainment room, Card and game room, Library, Business center with computers and printers, i-pod docker. 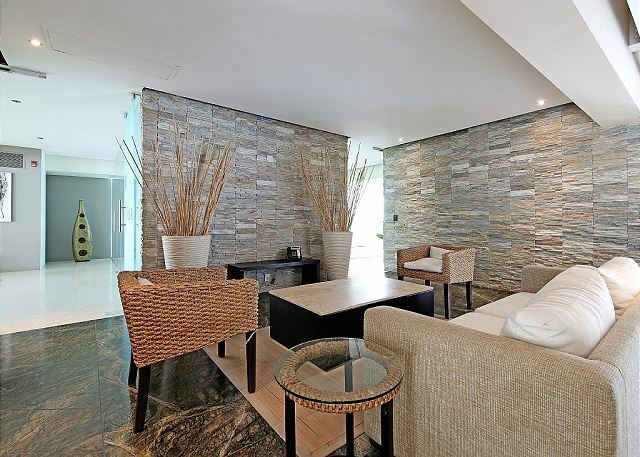 Walking distance to supermarket, shopping, restaurants and banks. DVD collections, books, games and magazines. 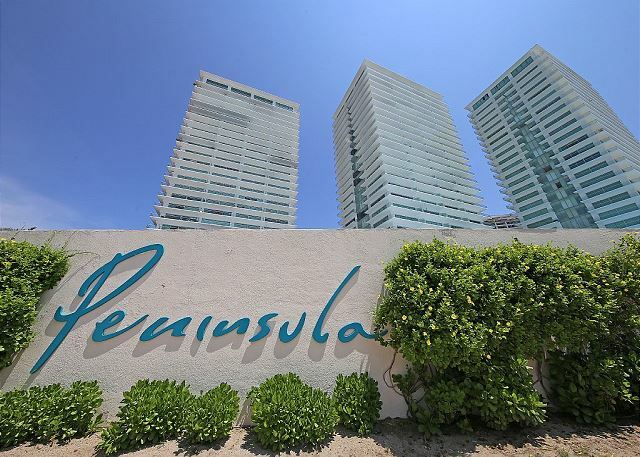 Steam room, sauna, jacuzzi are exclusive for Peninsula guests. Huge infinity pool is used exclusive for Peninsula guests.